Worried how you’re going to get to work in August? TFL are on the case. 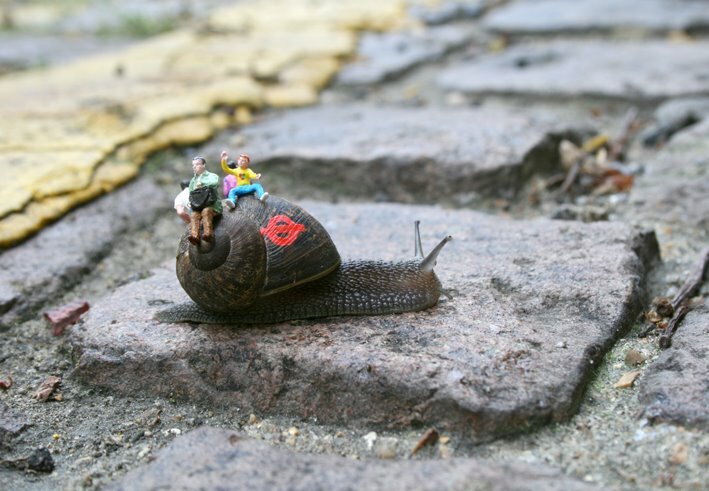 More fabulous new work here from Slinkachu, the God of Small People. 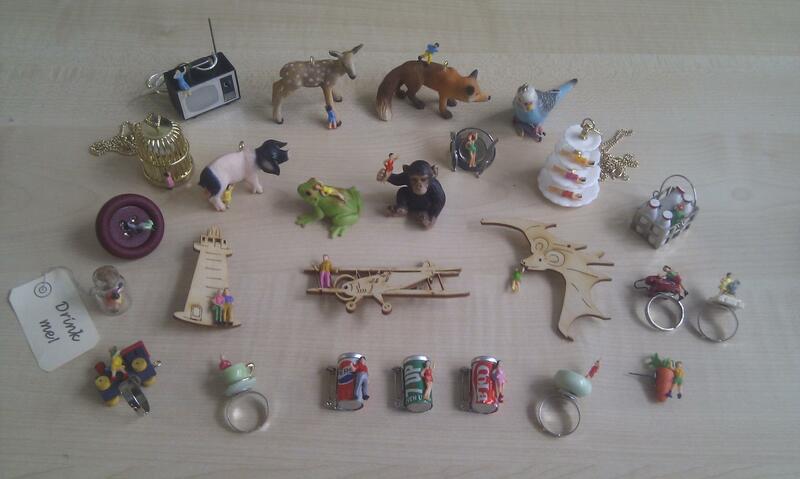 If you love things that play with scale like this then you might also be interested in Twinny Jewellery – it’s Slinkachu meets Tatty Devine, and it’s ruddy brilliant. Next WHAT’S THE LOWEST FORM OF WIT? 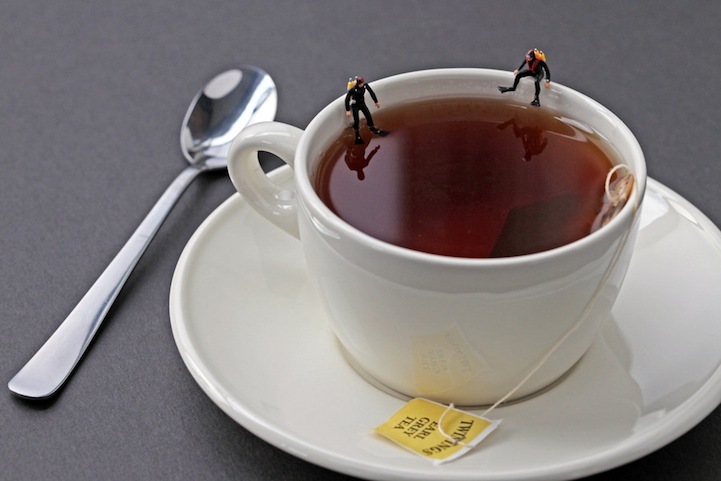 Small (miniature) fact: Slinkachu went to Bucks! Fact! I went to art school not uni, so it’s a genuine mistake. I decided to leave it because (like Marshal MacLuhan: ‘The Medium is The Massage’) I think it’s actually better that way. Nice article Dave. Some very salient points for me personally. I’m a UX bod and for now specialise in research and the point you make about what people say they think and/or do and how they actually behave are not necessarily the same. As such we have to be very careful about the research methods we use e.g. contextual research such as diary studies or observation within the context of use to find out what people actually do rather than what they say they do, we have to be sure we ask the right questions e.g. not “In X situation what do you think you would do?”, and we need to get data from as many sources as possible to ensure we have as much of the complete picture as possible e.g. contextual research + current consumer trends + data on actual use such as web analytics data. I’ve just completed a contract in a team where personal and expert opinion as well as innovation often rules over understanding & satisfying customers’ needs – as you say the characteristics & behaviour of a target audience are usually very different from that of the team developing the product or service. Your article’s a nice reminder of things that are easy to forget – a reality check.